Here’s a safe, stylish and snuggle worthy cradle that will instantly create a major wow factor in your baby’s nursery right now. Created by design extraordinaire Oszkar Vagi, of Budapest design studio O-bjekt, this stunning cradle has been masterfully shaped so it hugs around the baby as a protective shell. The beautiful form of this cradle has been produced with the perfectly simple geometry of one single piece of double layer Merino wool felt. 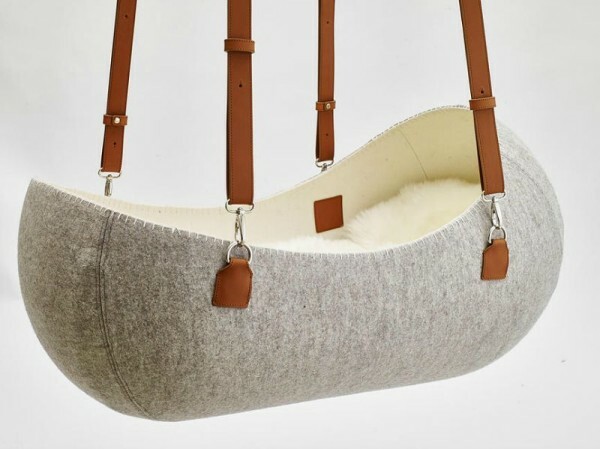 The 100 per cent natural materials also include leather and timber and result in a cozy cocoon that is very similar in design to what babies enjoyed in the womb. 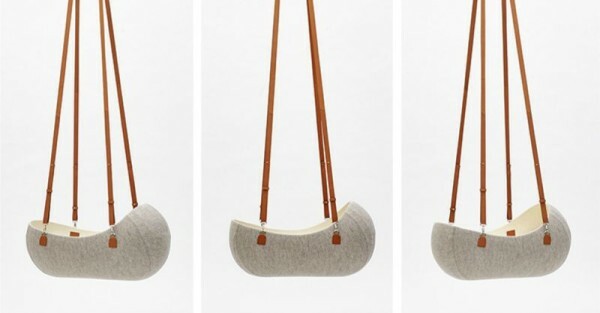 Designed to hang from the ceiling with a single-point, leather strap suspension system, the Little Nest Cradle reacts to every move the baby makes and calms them down with gentle swaying. You can also choose to unclip this cradle from the straps to move it around the home or use it out and about as a bassinet. Currently only available in the gorgeous natural tones of grey and brown, this cradle will be a standout statement piece in any nursery for boys or girls. The design of related products has already begun and we can’t wait to see what O-bjekt comes up with next. The Little Nest Cradle costs €1800 plus shipping and is produced by order only so contact O-bjekt directly to secure one of the most stylish cradles around.